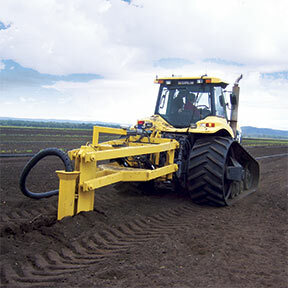 With TrueGuide, your implement's position Is dependent on your tractor. 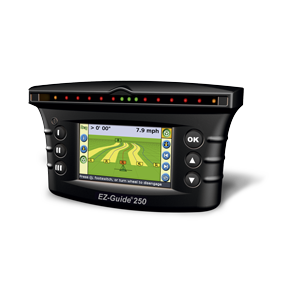 When your implement drifts, TrueGuide signals your tractor's Autopilot system to pull the implement on line—so you can operate with ease no matter the guidance path. 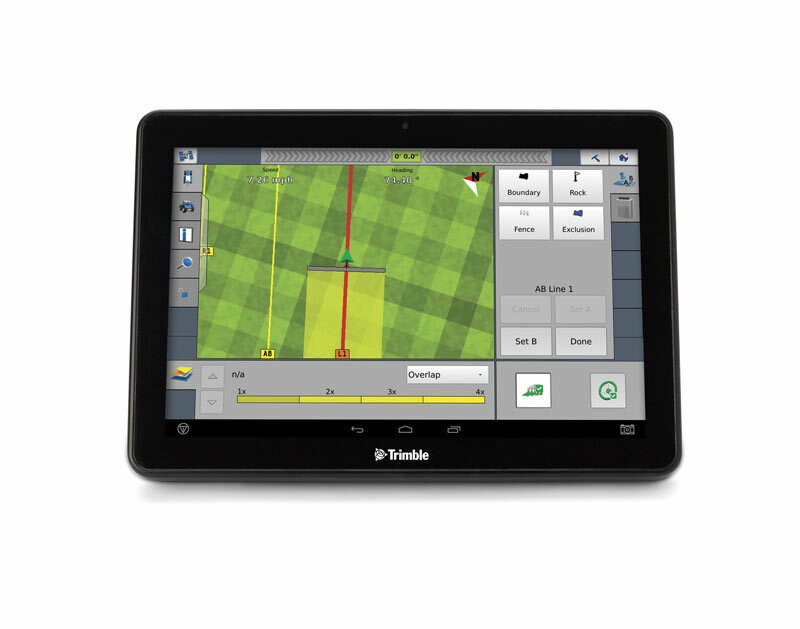 The Trimble® MMX-070 display is a robust, portable, Android™ tablet built for agriculture. 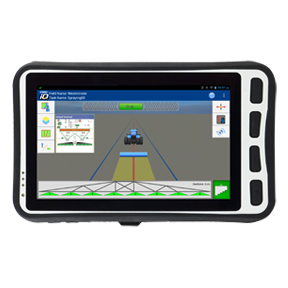 It combines the capabilities of a precision farming display with the advantages of a tablet. 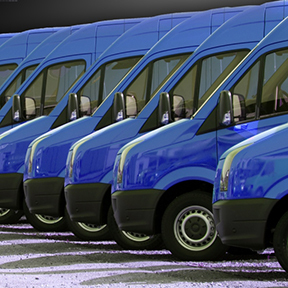 Track your fleet locations and manage valuable information from the office or any location with internet access. Managers are able to transform their fleet performance by viewing time spent idling, moving, and traveling as well as delay reasons. Decrease fuel costs by reducing unauthorized vehicle use. Get higher accuracy and higher yield to make constant meter tweaks a thing of the past. Improved singulation and better flexibility are in your grasp. vSet brings a relentless singulator that has five floating steel lobes to ensure one seed per hole, with all kinds of seeds. And with a flat disk, you get consistent seed release, every time. vSet features a flat disk with a single vac setting. 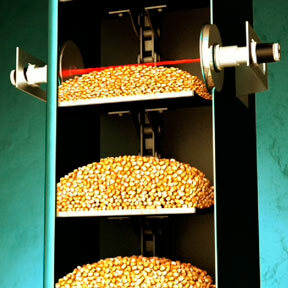 It releases seeds down the center of the tube – critical to optimum spacing. And has a floating, 5-lobed singulator that makes sure no two seeds of any kind can occupy the same hole. One seed locks in and one seed drops. Every time. This champion singulator is a model of simplicity in operation. 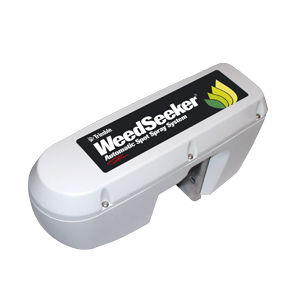 It handles any seed size or shape without finicky tweaks to vac pressure, disk or singulator settings. Just pour in the seed and go. Then get ready for your best possible yield. The PurePixel™ precision vegetation health solution provides farmers and their trusted advisors with a high source of vegetation health information to drive improved crop analysis. Most remote sensing based vegetation maps are plagued by issues with "noise" from soil color and moisture variability. Furthermore, these maps generally use non-calibrated information that limit the user’s ability to compare crop health from one period to the next. The PurePixel solution not only removes the noise that undermines the accuracy of most vegetation maps, but also uses a precise calibration that allows for more meaningful analysis of the vegetation map information. 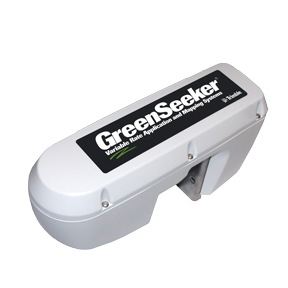 Overall, the PurePixel solution provides high quality vegetation health information to improve farm and field management. There are two types of PurePixel Vegetation Index maps. The first type uses a Natural distribution which displays crop health on an absolute scale to show the true state of vegetation health. The second type uses a Clustered distribution to display crop health with percentile buckets that accentuate the crop health variability. Between these two maps users can compare multiple images of the same area over time to detect changes in crop health and variability, no matter how large or small the differences. Another helpful map that is automatically downloaded for your field is called the PurePixel Chlorophyll Index map. These maps separate chlorophyll information to help assess crop variability and maturity within a field or between fields. This information can be used to help evaluate mid and late season crop health to assist harvest related decisions. 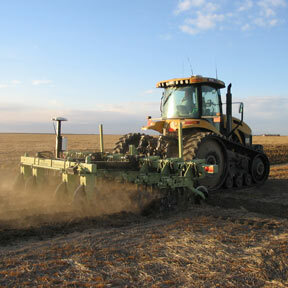 PurePixel maps are compatible with other third party software solutions, including Farm Works Software®. Click the Download button to export PurePixel Vegetation Index and PurePixel Chlorophyll Index data using a standard shapefile (*.shp) format. This allows flexibility outside of Connected Farm if a different system is needed for management zone creation or variable rate calculations. Season one, you have the capabilities to do your best planting, plus a meter and drive setup that has staying power for the seasons ahead. 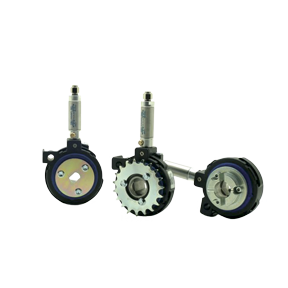 Mechanical drive systems have a lot of moving parts and require maintenance and costly upkeep. 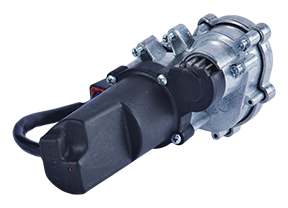 vDrive is self-contained and virtually maintenance free. Ensure your planting success with a stable setup you can count on season after season. With its row-by-row control, you'll get precisely planted headlands, high-definition population reporting, and even the ability to plant male and female see corn plants in the same pass. 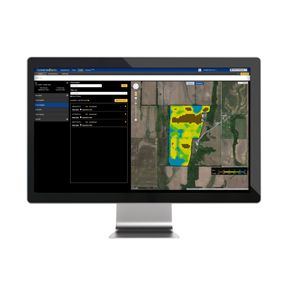 Trimble Agriculture offers farm software solutions for data analysis—including mapping, accounting, water management, and more for comprehensive management of your farm. 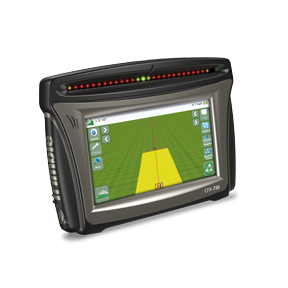 Compatible with a wide range of precision farming displays. 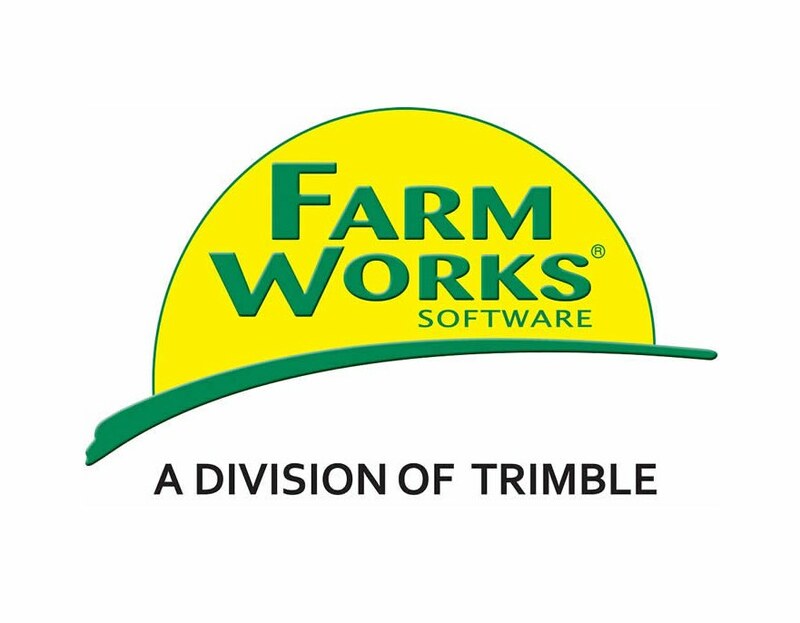 Farm Works™ farm management software solutions are part of Trimble's Connected Farm™. 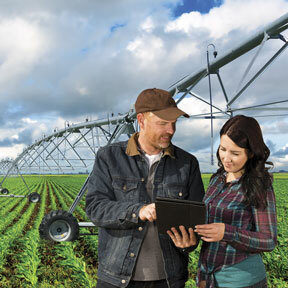 Connected Farm is an integrated operations management solution that combines industry-leading hardware and software to increase efficiency and effectiveness for today's farming business. It enables better decision making through integrated management and information exchange across the entire farm. Create variety maps manually or import them from most precision farming hardware. Print yield-by-variety reports that summarize the performance of each variety across your farm. View and analyze split-planting maps. Utilize soil types, yield maps, or other data in creating simple variable rate prescription maps. View and print product summaries to see total quantity needed to complete a job along with the approximate cost. Use formulas for designing advanced variable rate prescription maps. Layer variety maps with yield maps to establish yield performance. Average multiple years of yield maps to discover consistently high and low yielding areas of a field. Post calibrate yield data to fix mistakes in yield monitor calibration. Utilize scale tickets to calculate dry yield. Create, edit, and manage guidance paths from popular guidance systems including all Trimble® field displays. Transfer saved guidance paths to and from multiple guidance systems and file formats. Design planned guidance lines that follow terraces, boundaries, and other features. 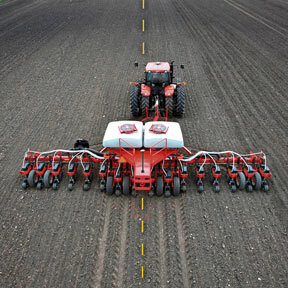 Analyze the number and total length of planned lines to insure the creation of the most optimal paths for planting. Create a map of target grids or zones and transfer the job to Farm Works Mobile. Enter or import the results of soil tests to generate nutrient variability maps. Design a template for each soil lab import and use for multiple fields. Find out which parts of the field are more profitable by combining precision ag maps with costs assigned to inputs. When used with the Accounting module (see below), these costs are pulled directly from your checkbook. Profit maps illustrate which areas of a field are most profitable and can be used to assess the profitability of precision farming and other practices. 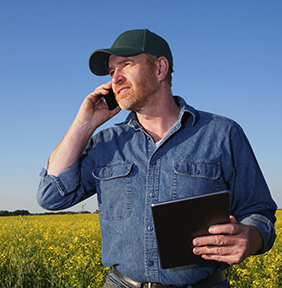 Set up clients, farms, fields, and crop/year enterprises for quick access to field records. Enter crop plans for product ordering, budgeting, equipment usage, and employee allocation. Print reports for seed varieties, restricted use chemicals, fertilizer usage, equipment maintenance, and more. 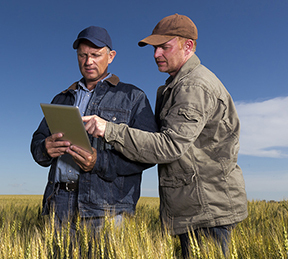 Submit data electronically for crop insurance reporting. Farm Works Mapping supports a wide range of precision ag devices including Trimble, Case IH/New Holland, John Deere, Ag Leader, AGCO, CLAAS, Precision Planting, Raven, DICKEY-john, and more. Bing™ and Google imagery, shape files, and various text formats are also compatible. Add this module to handle your cash and accrual general ledger while maintaining profit centers for each field and livestock group. Add this module for additional water management features such as placement of field tile and levees to help increase crop yields. Add this module for tracking detailed livestock records such as weights, health records, and bloodlines. The new standard for seeding accuracy and flexibility, you can space precisely and harvest more by dropping a single seed down the center, every time. It's simple ingenuity that other meters just don't have. Plus, you can handle any seed size or shape without adjustment. Selecting the eSet meter is a no-brainer. It has a flat disk with a single vac setting, eliminating constant adjustments. 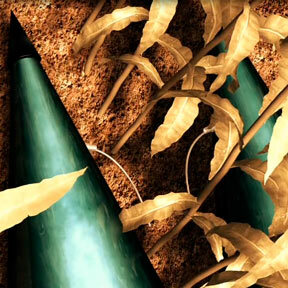 It releases seeds down the center of the tube – critical to optimum spacing. It has a 5-lobed singulator that makes sure no two seeds of any kind can occupy the same hole. One seed locks in and one seed drops. Every time. eSet is a star of simplicity. 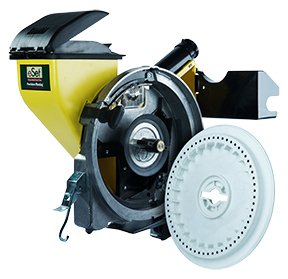 It handles any seed size or shape without finicky tweaks to vac pressure, disk or singulator settings. Just pour in the seed and go. Then get ready for your best possible yield. A simple replacement for OEM vacuum disks on John Deere planters. You get the disk, baffle, singulator, brushes and seed extractor. Everything mounts to your existing meter housing (1991 or later). Each row has unique depth control. From flat fields, to varied terrain, and across soil types. DeltaForce is a unique solution to down force that has features and performance no one else offers. When you control down force, you avoid shallow-planted seeds and you avoid root compaction. Simply put, you increase your yield. With too much weight on your row units, you get compacted roots. With too little, you get seeds too close to the surface. We will help you make a plan based on your specific needs and get you started in collecting and organizing your data. Begin putting your data to work for you. 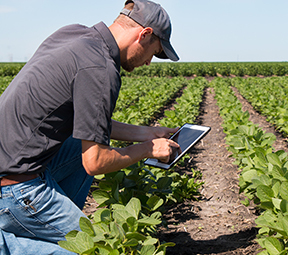 As new technology continues to emerge, growers have access to more and more tools designed to enhance and optimize crop production. Lower costs and higher yields are words every grower wants to hear. As with any new experience, though, things can get really confusing, really fast. We can assist you in developing and organizing your own personal precision ag plan. Once a plan is in place, you can better understand how to implement technology to get the best return on your investment. We are not here to sell you on a quick fix or the next "great idea." We are here to partner with you to create a real working plan to solve real problems and add value to your farming operations. We use the latest in agriculture technology from both Trimble and other providers to customize a technology platform that best suits your needs. The RainWave® precipitation monitoring solution provides you with vital rainfall data, allowing you to make better management decisions for irrigation planning, vehicle deployment, and timing of material application for nutrient and pest management. Add layers to your data such as fleet management, field mapping, accounting and mobile apps, putting your data at your fingertips. Desktop software for mapping, importing/exporting precision farming data, field records and simple cash accounting. Mobile app software: For in field data acquisition you can use your mobile phone or other mobile devices. Financial statements available with proper data entry including budget, general ledger, depreciation report, enterprise statements, etc. Enter multiple crop plans for a field, then compare crop plans side-by-side to choose the best course of action. Using the data you've collected, begin to add layers such as fleet tracking, perform simple accounting, and field mapping software. Begin sharing your data with your trusted advisors. 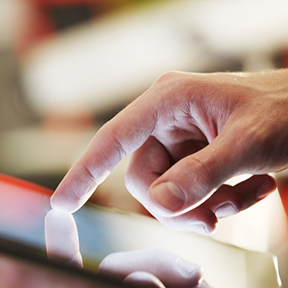 Take your data with you by adding mobile apps so you can always have your information at your fingertips. These are just a few of the things you can do as you dig deeper into the world of precision ag. 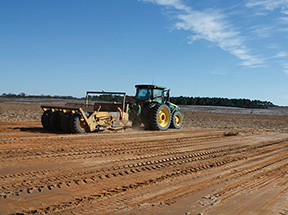 The Trimble® FieldLevel™ II system streamlines the surveying, designing, and leveling steps required for land leveling projects. FieldLevel II helps ensure optimal water management by providing improvements in yields, water usage, and farm productivity. Analyze the shape of the field using 3D view, contours, flow arrows, and tributary information within Farm Works Surface™ software . Define the start point, vertical intervals, and turn radius capability of the machine you're using and Surface will determine the optimal location for your levees. Custom dashboard layout for weather, commodity cash bids and futures prices and more. Task Application Recording from In Field Devices on Machines. For example, the planter in the field running a Trimble display will collect the seed variety, amount of seed and cost per asset. You begin to know true costs per acre per application, including cost for the tractor, planter, seed and any other inputs. Successful farmers track every detail of their operations. With lower commodity prices putting pressure on profits, and the move to precision ag adding new complexities, the right farm management software is a requirement for farming today. And by partnering with Vantage Southeast, you’ll have the support and ongoing commitment of one of the top leaders in global agriculture today, while maintaining your independence. With the Sidekick Pro™ direct injection system, you can save more in time and inputs—and get more for it when applying costly herbicides, insecticides, liquid fertilizer and nitrogen stabilizer. And because there’s no pre-mixing in the tank, there’s no waste from unused product—and no cleanout/disposal issues when you’re done. Watch this video to learn more about how it works! The Sidekick Pro™ direct injection system sets a new standard for chemical applications of every type, with unprecedented precision, savings, and safety. No tank mixing required and with the industry’s first automatic calibration feature, you’re ready to go in minutes. 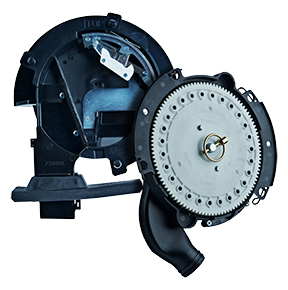 Utilize Rinse Assist to automatically flush the pump quickly and thoroughly. The whole system is amazingly simple and pays off with greater precision, higher yields and unrivaled efficiency. The Trimble® WM-Topo™ survey system is a topographic data collection device that can be taken into hard-to-reach areas such as ditches, steep terrain, muddy fields, or fields with mature crop cover. Survey data can be used to create surface models-to help you make well-informed water management decisions. The Hawkeye Nozzle Control System is ultra-precise. 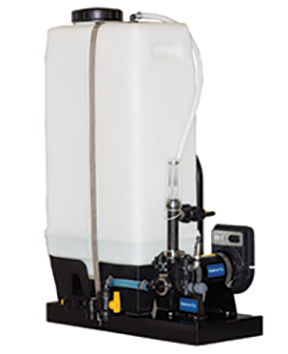 This pressure based product control system allows for precise sprayer application in a variety of conditions, getting the most out of every nozzle in the field. Each nozzle is controlled by its own individual pulsing PWM valve giving you a consistent spray pattern across the boom as speed and conditions change. 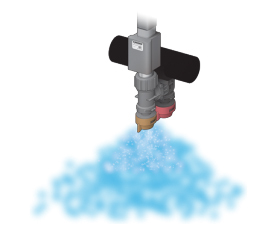 Nozzle-by-nozzle turn compensation minimizes misapplication and virtual sections provide more control and higher ROI than traditional shut-off systems. The Hawkeye system is simple to install and calibrate, and upgrades are done via software, eliminating any need to remove and reinstall hardware components. With Hawkeye HD, users can utilize individual nozzle on/off to reduce costly skips or overlaps across the width of the boom. 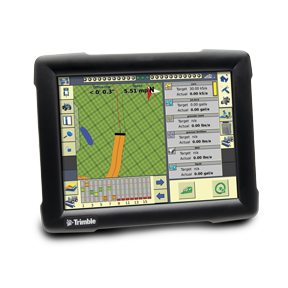 The Trimble® FmX® integrated display is an advanced, full-featured guidance display for all your precision farming applications. Trimble GeoManager Fleet Management enables fleet managers to make intelligent decisions using real-time field status information. Fleet Management offers a range of on-demand information and activity reports on key data such as vehicle location, condition and mileage. In addition, Fleet Management includes exception alerts which highlight issues such as when a vehicle hasn’t moved or leaves its designated work area. With this visibility in to fleet operations, businesses can manage fleet performance and costs, running the most efficient fleet possible. Using Trimble Field Service Management solutions, companies can improve fleet productivity using vehicle tracking and trip management tools, and reduce costs by lowering fuel use and improving asset use. 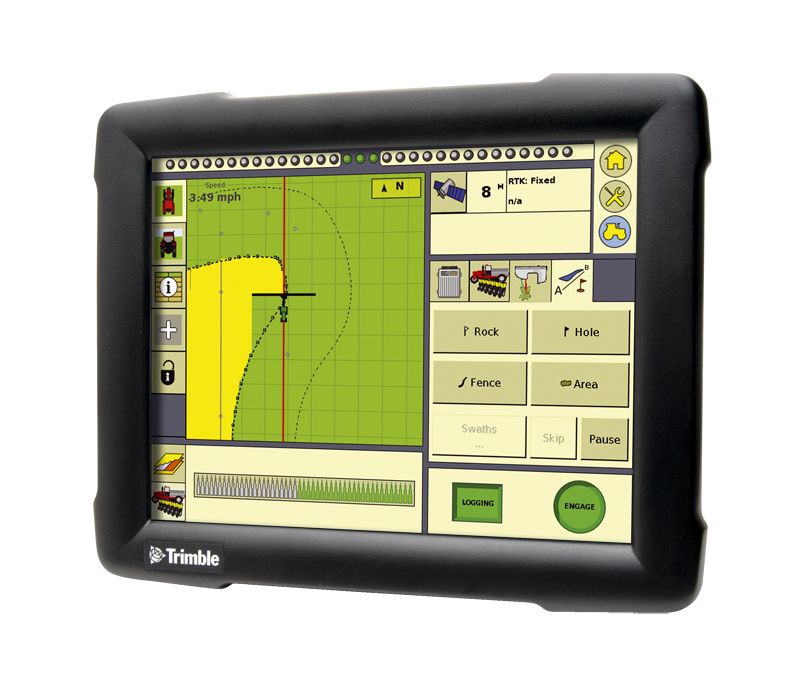 The Trimble® TMX-2050™ display lets you work smarter. Take control of your entire operation with a system that gives you the control, clarity, certainty and connectivity you need. Built on the Android™ operating system, the flexible platform lets you choose the application you want to use based on the work you need to do today—FmX® Plus or Precision-IQ™. The FmX Plus app leverages the same familiar workflows and menus of the Trimble FmX integrated display so there's no need to retrain or learn new software. The Precision-IQ app provides a graphics-rich and streamlined workflow designed specially on the TMX-2050™ display and for today's leading grower. 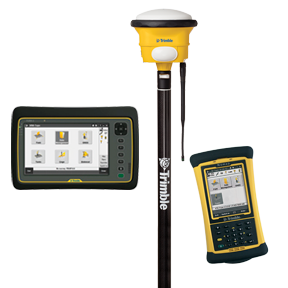 Trimble correction services lead the industry in accuracy and reliability while they maximize every pass and increase your efficiency. Our CenterPoint® RTX™ correction service enables precise 1.5" (3.8 cm) pass-to-pass and repeatable accuracy, while our RangePoint™ RTX correction service provides 6" (15 cm) pass-to-pass accuracy and 20" (50 cm) repeatable accuracy. Our xFill™ service also allows RTK users to continue receiving precision location data in the event of temporary radio or Internet outages. 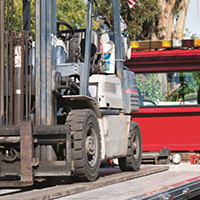 Managing an organization that operates a fleet of vehicles can mean complying with strict Department of Transportation (DOT) Hours of Service (HOS) regulations. The DVIR tool quickly walks drivers through a checklist before taking the vehicle on the road to ensure tires, brakes, mirrors and other vehicle parts are functioning properly. Federal regulations require that mobile workers must keep detailed records of their driving time as well as the condition of the vehicle. The DOT has mandated that all fleets must be fitted with electronic logging devices. It is important that fleet operators act now to ensure they are compliant with the new rules. Trimble FieldMaster Logs allows drivers to comply with the Hours of Service (HOS) and Driver Vehicle Inspection Reports (DVIR) quickly and easily. An in-cab tablet display allows drivers to easily submit their hours of service which ensures they are compliant with all regulations. In addition, alerts will notify drivers when they are approaching their drive time limits to prevent fines and penalties. The Trimble® EZ-Steer® assisted steering system provides simple, portable, hands-free farming for more than 1200 vehicle models - old and new. 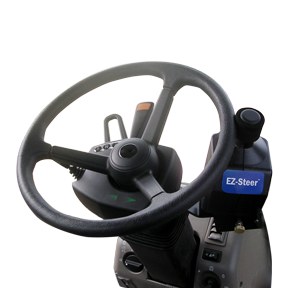 The EZ-Steer system turns the steering wheel for you by combining a friction wheel and a motor with guidance from any Trimble display. 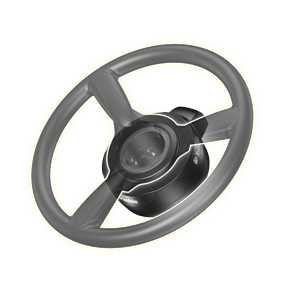 It keeps your vehicle on line for efficient, low stress steering capabilities for your farming applications. 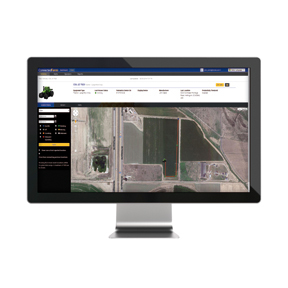 Trimble Asset Tracking offers a range of on-demand information and detailed activity reports on key data such as asset location,speed, stop time and utilization time. It also reports on disconnect events, alerting users if a unit has been disconnected from its main power supply, has been stolen or is being used at an unauthorized time. With the visibility in to where towed assets are and how they are being used, businesses can better manage asset performance and costs to run the most efficient field operation possible. Trimble Asset Tracking offers a range of on-demand information and detailed activity reports on key data such as asset location,speed, stop time and utilization time. 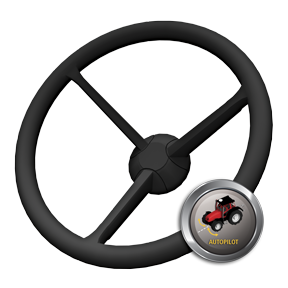 TrueTracker uses your tractor's Autopilot system to monitor your implement and signal it to follow the correct path during periods of drift. TrueTracker keeps you confident that your implement is on line all the time.